Margaret produces a folder, explaining that it’s information she’s prepared for our meeting. “I know people who pulled down houses and caught it [mesothelioma],” she says, sitting down. She puts the folder on the table and picks up a small container, which she opens to reveal several tablets. “They help with the pain,” she says, swallowing them with a mouthful of water.ing members of the support group run by the Asbestos Diseases Society of Victoria. Instead, Margaret and her colleagues started a three year-old program at their North Essendon centre. “I became the settling down expert,” she explains. “My waiting lists were always long, and my methods are still used to settle children into kindergarten. I was well known, and I loved the work.” Trevor moved to the Burnside Retirement Village in Melbourne’s outer west in January 2004, and Margaret planned to work until the end of that year. The Smiths were in Sydney in May 2004 when Margaret developed a sharp “stitch” across her back. “I remember thinking God, I hope it’s not cancer.” Margaret recalls having very little energy and being lethargic; she had trouble breathing when she climbed the steps at Darling Harbour. 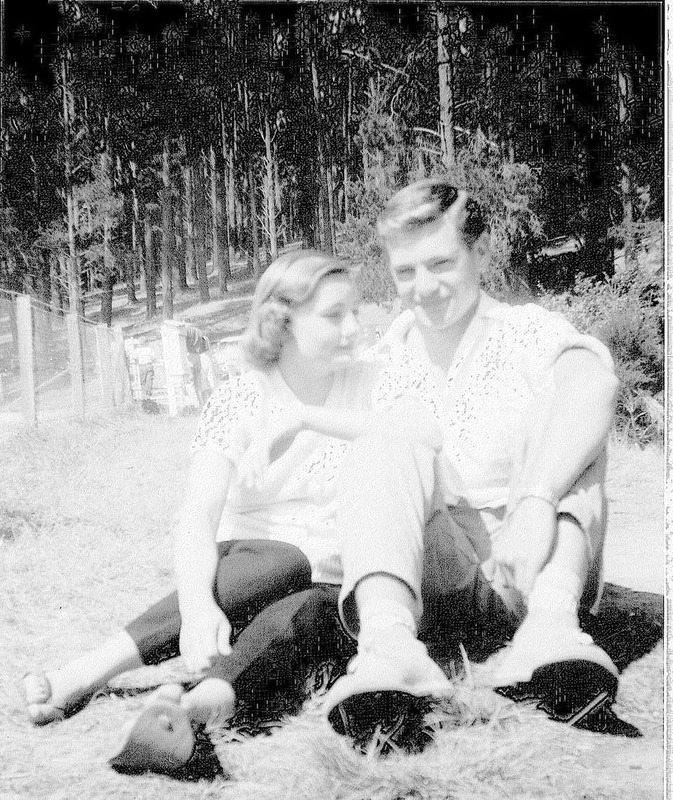 She and Trevor wondered if it was old-age asthma, and Margaret consulted a Sydney doctor, and had cardiac and breathing tests. Her breathing was “borderline”, but nothing suggested a serious problem. Back in Sydney in September, Margaret still felt unwell and her breathing was becoming increasingly laboured. A scan revealed a five-centimetre tumour under her right lung. “I can remember walking back into the studio where we were staying. We spent the whole day looking at the water and across at the boats … it was quite devastating. For three nights Trevor cried,” Margaret says. “In the end I told him to stop because I couldn’t cope.” A surgical biopsy a week later confirmed mesothelioma. Like Glenda, Margaret has pleural mesothelioma. Her tumour is relatively slow growing, but had spread from her right lung into her chest by the time the cancer was diagnosed. It was inoperable. Centre as a nurse for many years, accompanied her on her first visit there. They saw a radiologist who was “absolutely lovely”. “He told me to do anything I needed to do, and not to wait. He said I should make the most of things while I was well,” Margaret recalls. Her oncologist in the lung unit was a different proposition. “He’s quite clinical … I’ve worked very hard to get to know him, and now I feel I have a good rapport with him. I didn’t in the beginning. He used to cut me off when I asked him questions, and he wouldn’t show me my scans. Now I insist on seeing them.” Margaret started taking lists to their meetings so she could get through all the topics she wanted to cover. Now, her oncologist “laughs with resignation” when she takes out her lists. “Doctors aren’t God. You’ve got to ask those questions. You’ve got to find out what you want to know … I’m one of those people … Tell me where you’re going to cut me,” Margaret says. Just after Margaret retired, a family friend, Laurie, was diagnosed with mesothelioma. He’d worked as an ordnance factory apprentice, when he was probably exposed to asbestos. His wife managed his palliative care at home, and Margaret helped. “I had a good rapport with Laurie,” she says. “I went to his house two days a week for the six weeks before he died, so I know what’s going to happen to me. He’d had surgery – it was near his heart – but the cancer responded aggressively and spread to his brain. 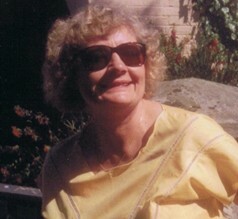 He had chemotherapy too, but he still died within months.” Laurie’s family “was devastated” when Margaret was diagnosed. In her first email after she was diagnosed, Margaret said: We have never smoked, and we enjoyed the best of outdoor life … We kept out of the sun. But we had not reckoned on an almost invisible fibre ingested some thirty years ago … After our conversations with Slater and [sic] Gordon … it was obvious that we had lived with asbestos all around us … There is still no concerted effort being organised to remove it from the environment or warn of its dangers. Pulling a sheet of paper from the folder of material she’s prepared, Margaret says, “This email is from one of the kindergarten children. She had a terrible home life; a mother with an awful story.” She says she encouraged the girl to persevere with education, and she and her colleagues pooled money so the girl could have a 21st birthday party. “Now she’s in a job and a stable relationship, with her own house. She sent this when she found out,” Margaret says, wiping her eyes as she passes the piece of paper. “She says she owes everything to us … This illness has brought out lots and lots of things like that. If there’s an upside to this disease, it’s what it’s brought out in other people. I had lovely letters from my daughters when they were overseas last year … But that doesn’t mean I would wish this on anybody. It’s a terrible disease,” she says. Margaret believes she’s “dropped to the next level”, and she says she knows she’s not as well as she was. She shows me photos from a cruise she went on with some girlfriends in late 2005, and those pictures suggest she’s right. There’s a difference between Margaret then and now – she’s lost weight and, although it’s late summer, her face is paler and more drawn. In September 2004, when she was diagnosed with mesothelioma, Margaret was told she might live 12 months. While she’s outlasted that expectation, she says she’s never lost sight of the fact the disease will kill her. “There is nothing out there to stop it,” she says, although she knows of cases of people living with mesothelioma for years. “One man in Canberra was diagnosed four years ago … Another man in Queensland eats raw egg and swims every day. He’s been diagnosed for 15 years. He sets himself goals – ‘If I can swim out to that rock, I will live.’ He might have blood streaming from his mouth after his swim, but he’s still going.” The Queenslander advised Margaret against chemotherapy. Some of his former colleagues (he worked in a hospital) also developed mesothelioma, and had chemotherapy. “He said all it did was to make them feel awful. They still died,” she says. Margaret wants to “squeeze as long out of life” as she can, and use that time the best way possible. “The way I’ve been able to cope with this illness is by keeping occupied and having something to look forward to.” She and Trevor have booked a Barwon Heads beach house with the extended family in March. Then they’re travelling up to Sydney to meet an old friend of Margaret, and after that she’ll visit a retreat at Bundanoon in New South Wales. Then she and Trevor will go on a cruise. “Trevor doesn’t want me to go away without him again,” she says. “I’ll take my X-rays.” She says she’ll “be here” to greet Narelle’s first child in August, and to celebrate her own birthday in September. Margaret stopped keeping her diary in December 2005. She wants her daughters to have it after she dies, but doesn’t want them to read about the difficult late stages of her disease. She’s settled most of her affairs, she says, and she’s talked to Trevor about his life after she dies. She’s working on organising her funeral now. “I told you, I’m a planner,” she says. Trevor wrote: “We don’t know at this stage whether she will return from there.” They believed her tumour was pressing on her heart and lung. Her breathing was very painful and difficult. In his next update Trevor had better news. Tests showed Margaret’s acute pain could probably be attributed to an attack of pericardinitis, an inflammation of the lining of the heart, and she was responding to treatment. The pressure on her heart was, in fact, unchanged from previous scans, although her tumour was still growing. Margaret’s doctor suggested a third course of chemotherapy, but she refused. Trevor wrote that some people had already responded to his first email and asked if they could send flowers, and he noted that Margaret’s favourites are pink roses. The following day, she woke to find her hospital room full of the pink blooms, and she didn’t know why.We’re sitting in a busy new Melbourne city café, and it’s a few months after Margaret’s March scare. She says she’s put on weight since then, and orders the poached eggs. She looks stronger now than she did when we first met at the start of the year. Margaret died on 1 September 2006, aged 62.